Whitworth University is introducing a new scholarship that covers 100 percent of tuition for students enrolling in 2016-17 who qualify for the state of Washington’s College Bound Scholarship and meet other requirements. To be eligible for the College Bound Scholarship, students must sign up while in middle school, graduate from a Washington high school or home school with a 2.0 GPA or higher, be a good citizen and not be convicted of a felony, and complete the Free Application for Federal Student Aid (FAFSA) in a timely manner. They must also have a family income that falls within 65 percent of the state's median family income. For more information, please visit www.wsac.wa.gov/college-bound. 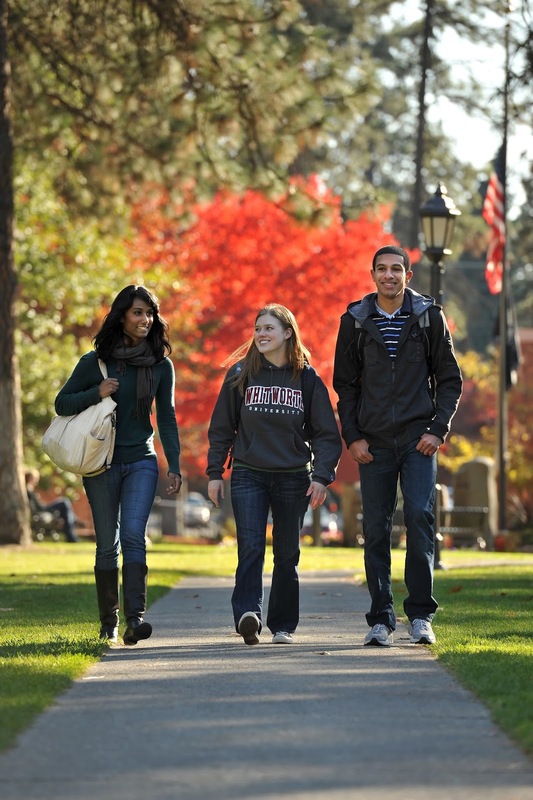 Incoming freshmen eligible for the College Bound Scholarship who are accepted to Whitworth University with a GPA of 3.5 or higher will automatically receive the Whitworth Bound Scholarship. The scholarship ensures that 100 percent of tuition will be covered through university, state, federal and other resources. Students can receive the Whitworth Bound scholarship for up to four years as long as they meet eligibility requirements for the College Bound Scholarship and maintain satisfactory academic progress each year. “We hope this scholarship will remove both real and perceived barriers for great Washington students to access a Whitworth education,” says Orwig. To be considered for the Whitworth Bound Scholarship, students should apply for admission at www.whitworth.edu/apply by March 1 and submit their FAFSA information to Whitworth as soon as possible. For more information about the Whitworth Bound scholarship, please visit Whitworth’s Academic Scholarship page.